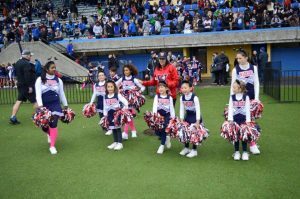 The Westside Warrior Cheer program is broken into three age categories of Atom (6-8 year olds), Peewee (9-11 year olds), Jr. Bantam (12-14 year olds). 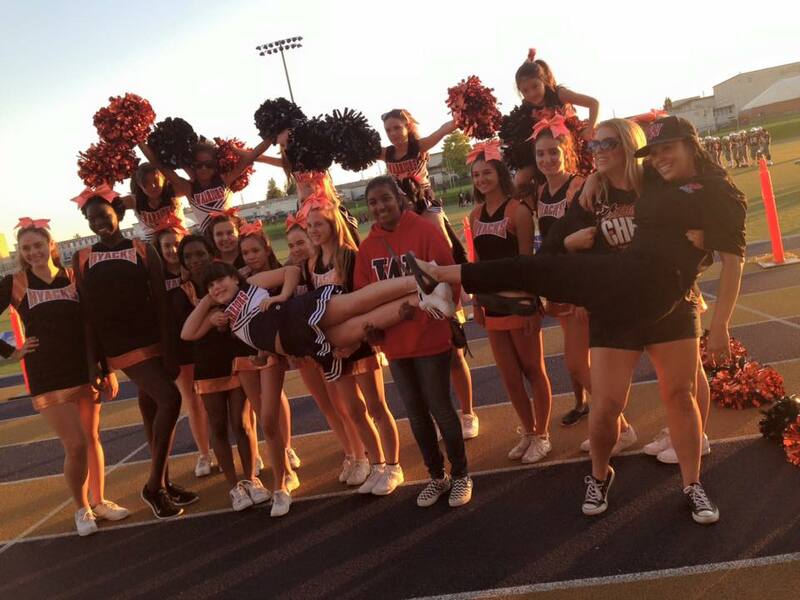 During the football season all cheerleaders participate on game days for their respective teams usually at home and occasionally they will travel to away games. As well when football teams make the playoffs the associated cheer squad will follow their team including final playoff games at various fields as required. 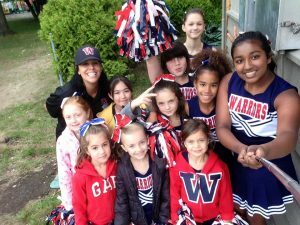 Near the end of the tackle season, Westside will partake in the annual cheer competition against other local cheer squads which will be held at a lower mainland high school. Under the supervision and training of licensed coaches, the squad will have the opportunity to enter all our squads as well as sets of “pairs” for performances. In order to participate the cheerleaders must have participated in weekend game day cheerleading for their various age group teams. This is a big day packed full of cheer action and stunning routines! Lots of fun and excitement goes with this big event!